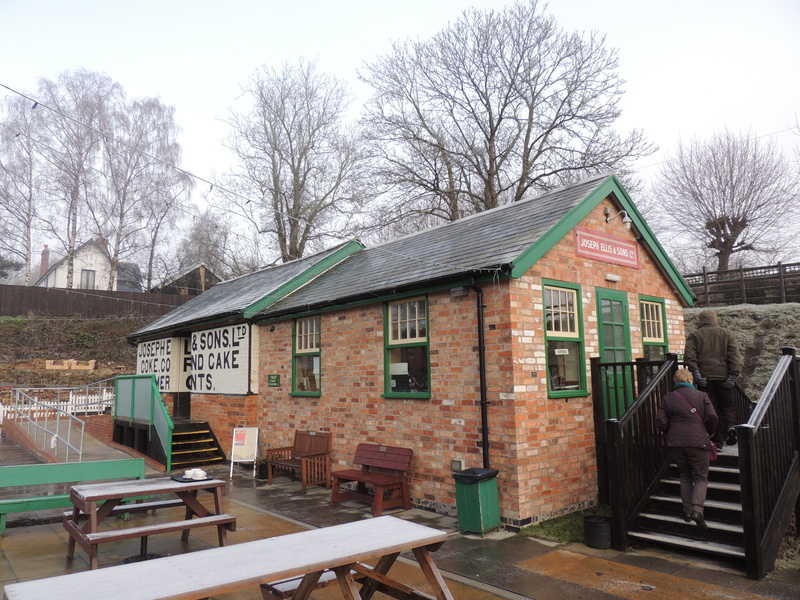 ← Dining Out: Japanese Food Stall In Market Harborough! As a movie locations geek I usually look at the fairly limited info in the filming locations section on IMDb whenever I watch any film. That certainly happened when I watched ‘Buster‘ (1988) over the holiday season which brought back memories as it was one of the first films my family ever rented on VHS in the late 1980’s and I was quite surprised to discover that the great train robbery scenes were filmed on the Great Central Railway in Leicestershire. 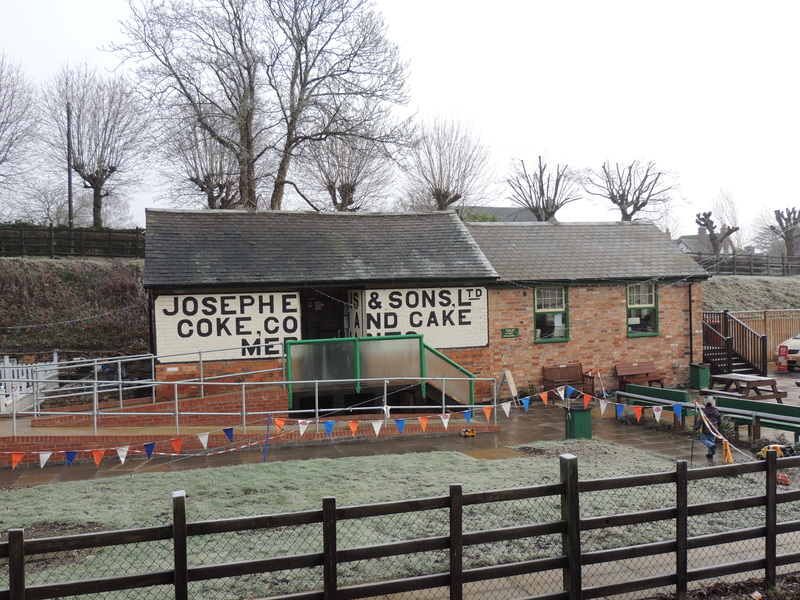 ‘Buster‘ was just one of many films and period drama’s to have been shot along this heritage railway which only runs for a total of 8.25 miles (13.28 km) between Loughborough and Leicester North. 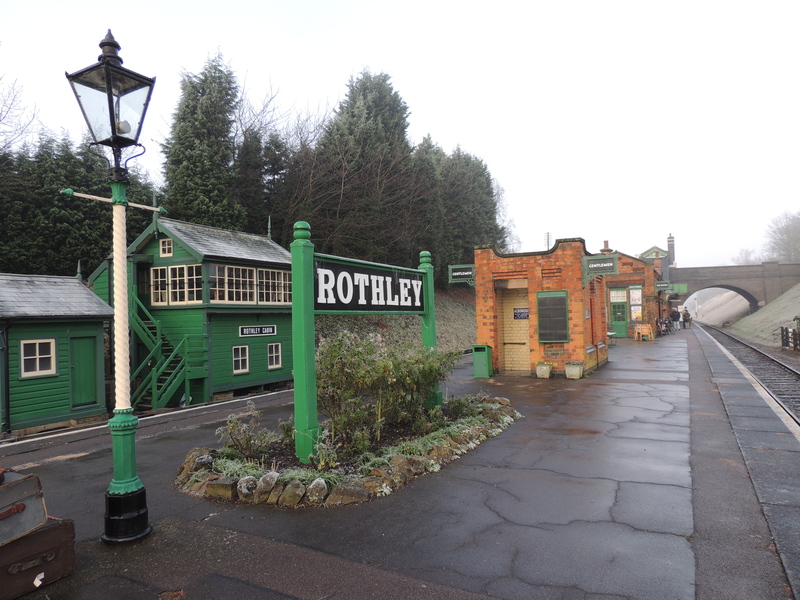 There are only two stops in between; Quorn & Woodhouse and Rothley. 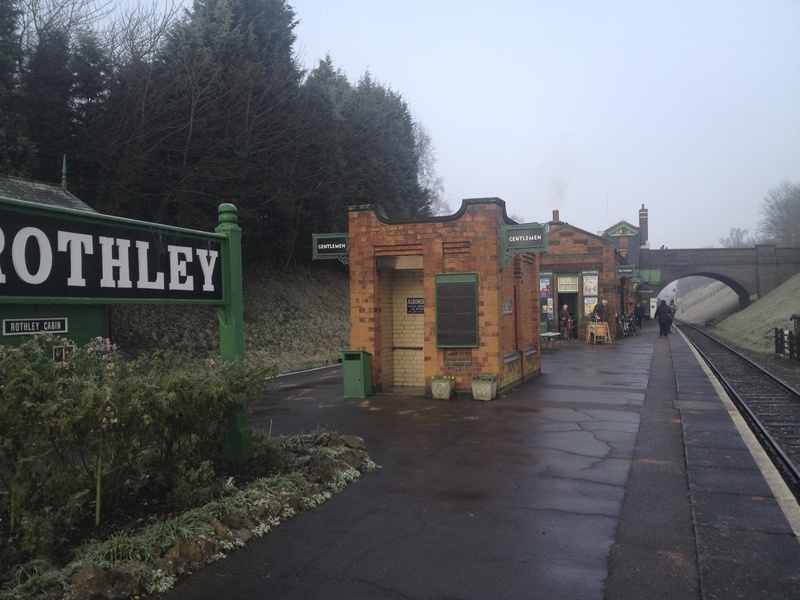 Growing up as a child, trains were very much part of my upbringing as my dad was a railway model enthusiast who had converted the loft into a spectacular miniature railway. 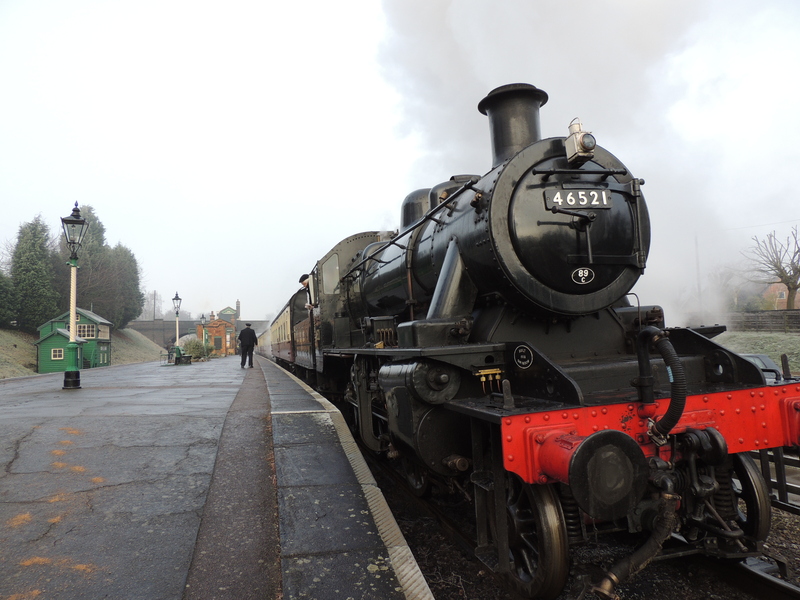 Those days are very much behind him now but he’s still very keen on the old locomotives and thought that visiting one of these stations would appeal to both of us a relatively close place to spend a bit of quality time together. Little did I realise that it would turn into a family day out! 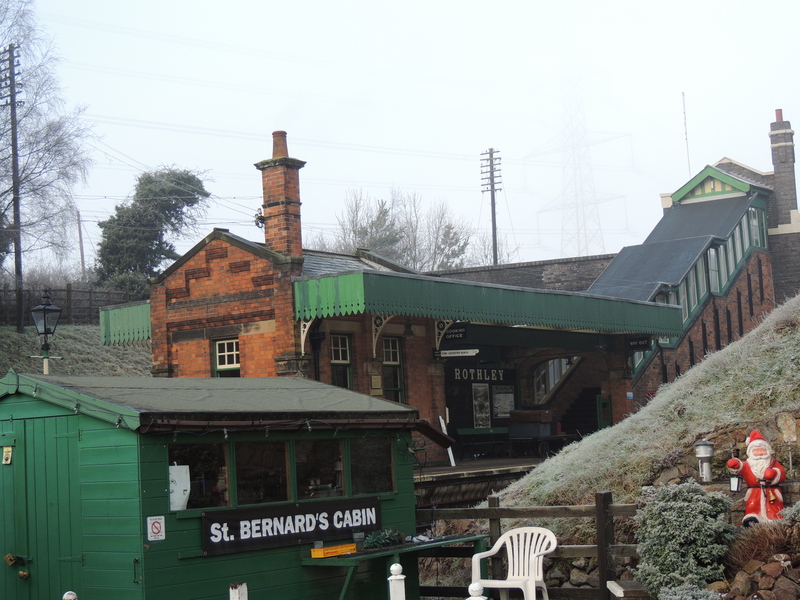 My initial idea was for us to just drive over to Loughborough Central Railway Station to see the station and a train and then return home! 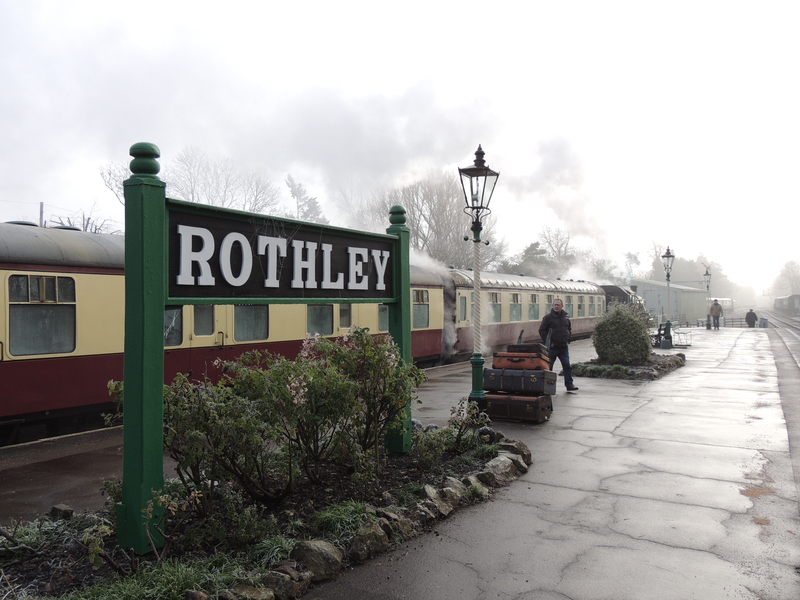 However, my dad expanded on it and suggested driving to Rothley and then taking one of the steam trains to Loughborough and back. 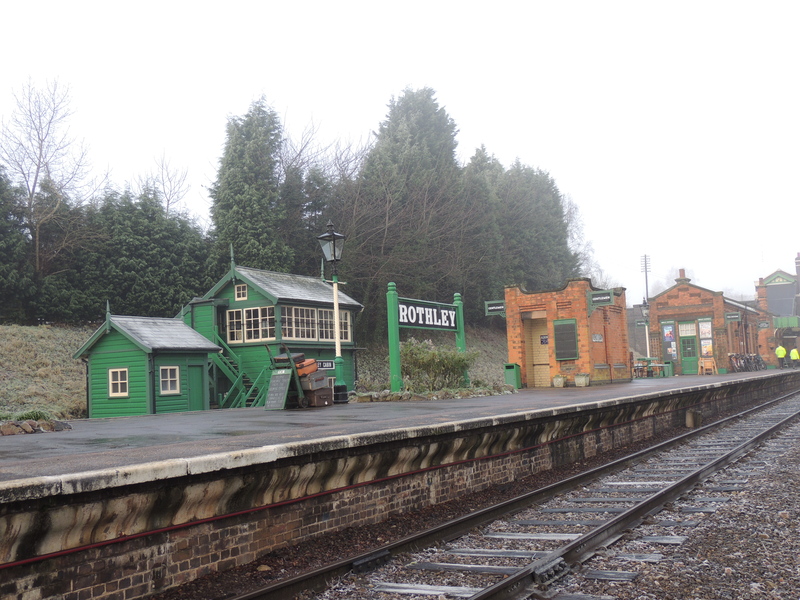 A nice idea but typically when we got up on the Sunday morning it was icy and very misty outside meaning that nothing could be seen from the train anyway so we just settled for a quick look at each station. 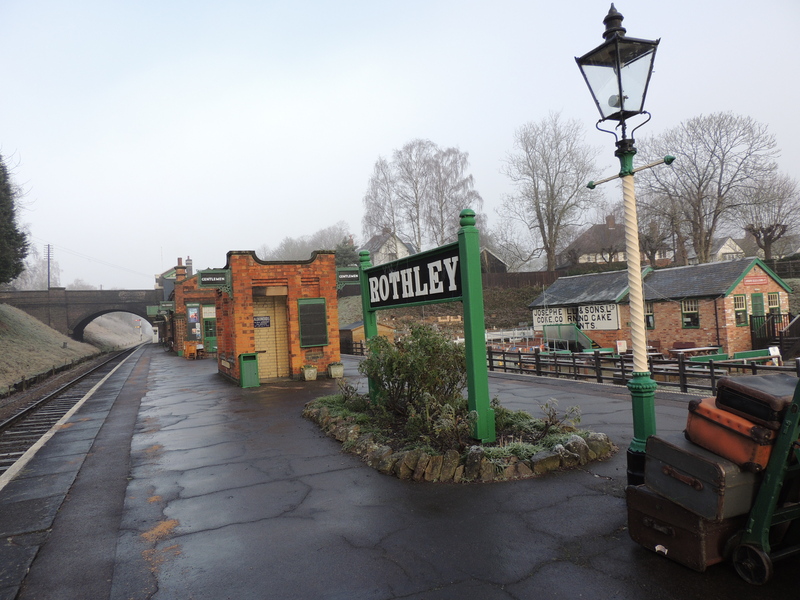 First up was Rothley railway station which originally opened on 15 March 1899 and it consists of a single island platform on which the station buildings sit. Original access to the platform comes from the road passing above but as we had used the car park we could enter by just crossing the tracks. 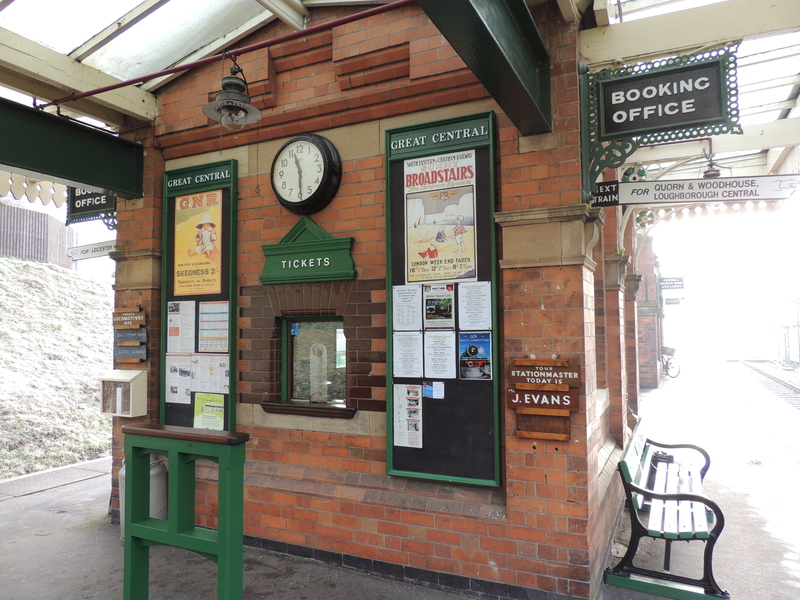 The station has been restored to its late Edwardian-era condition (circa 1910) to represent the line during Great Central days. I was quite taken aback at how few (if any!) signs there were of modern life which all adds to the atmosphere. 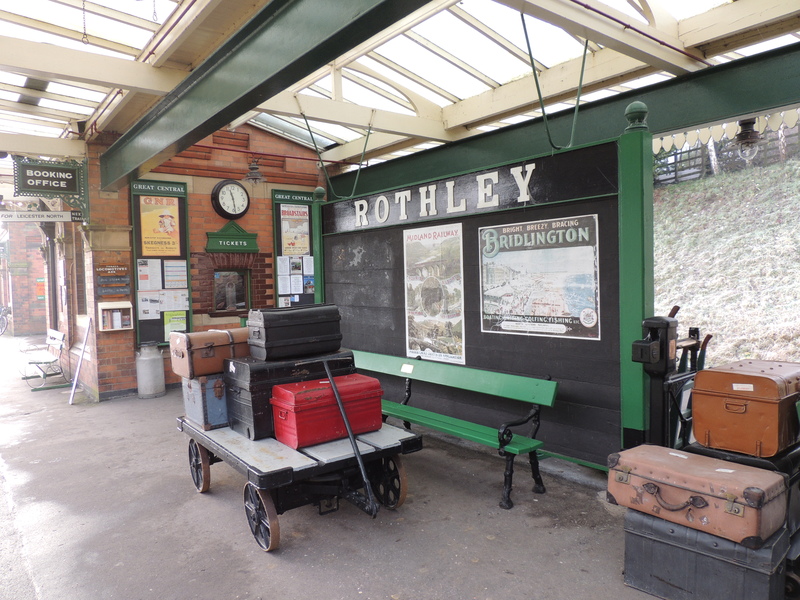 There are a plenty of props around the place too so as well as the old signs there are also trolleys of old suitcases and an old bicycle propped against the waiting room. 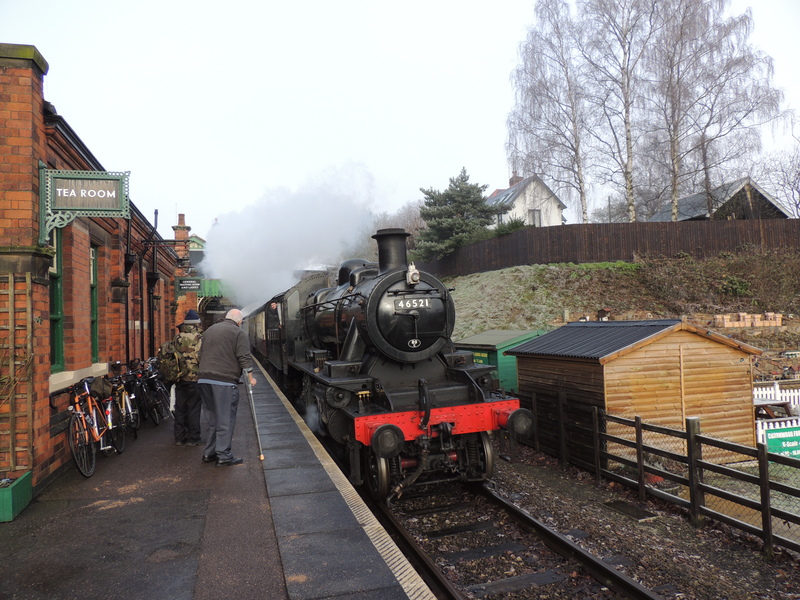 Right on time the steam engine pulled into the station and it really did feel like I had been transported back into a bygone era. I surprised myself by how much I had enjoyed seeing and photographing the spectacle. 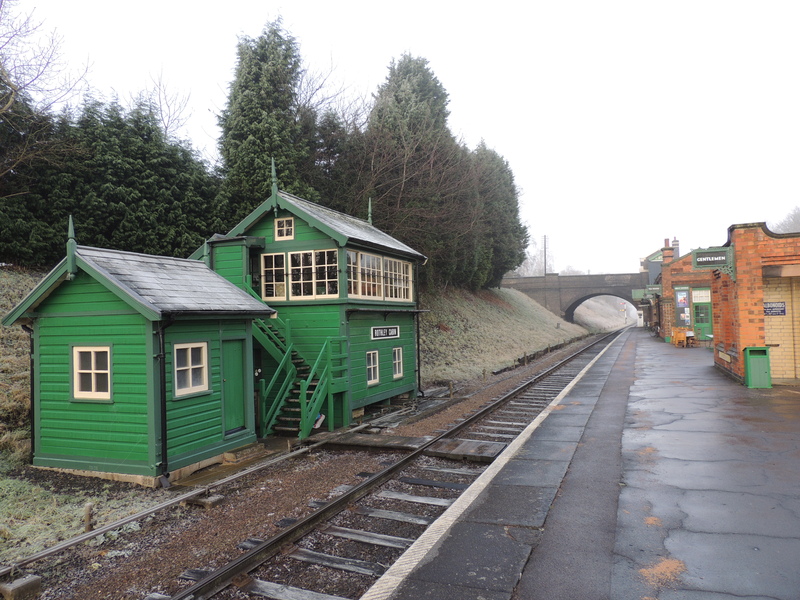 Not enough to regularly stand in the cold but enough to move onto Loughborough Great Central Railway Station. 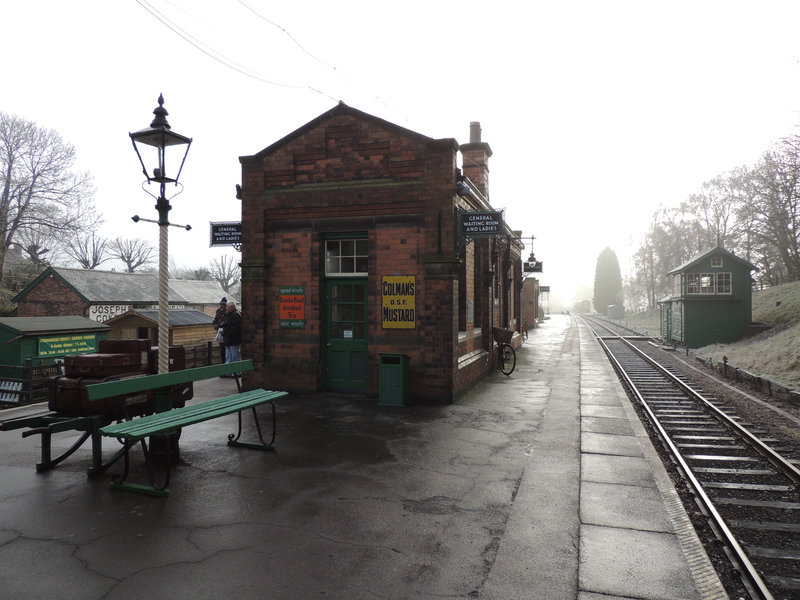 This entry was posted in Family, Movie Locations and tagged Britain's only double track mainline heritage railway, Buster filming location, Edwardian era station, Great Central Railway, heritage steam service, Rothley, single island platform, UK heritage railway station. Bookmark the permalink.